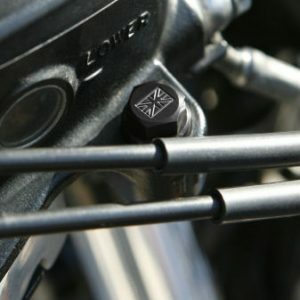 Purchase this product now and earn 200 NewBonneville Bucks! 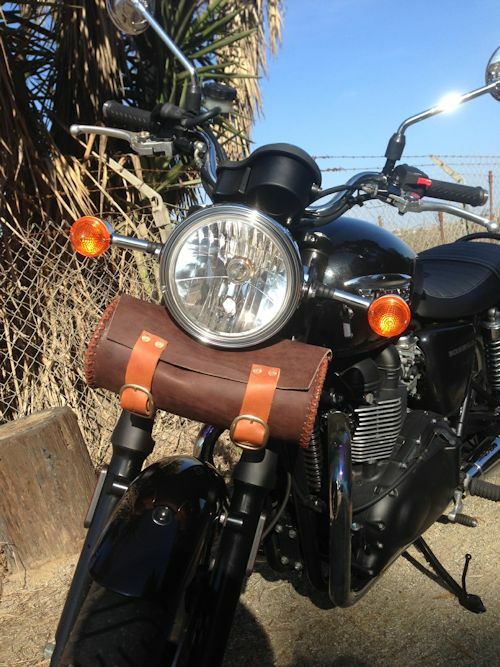 Handmade by leather artisan Seth Wegter and designed specifically for use on the Triumph Bonneville, Thruxton and Scrambler, the “Bonnie Bag” is perhaps the nicest fork bag available for these bikes anywhere. Crafted from Austen Double Shoulder 8-9oz cowhide, the hand-woven wax treated calf lacing on the sides provide exceptional stability and durability. 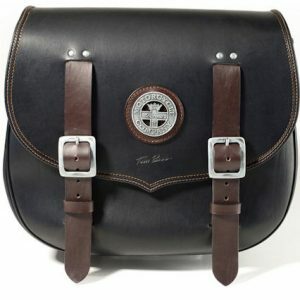 It has brass buckles and hand-pounded solid copper rivets (not brass or nickel, as is typical in lesser quality bags). 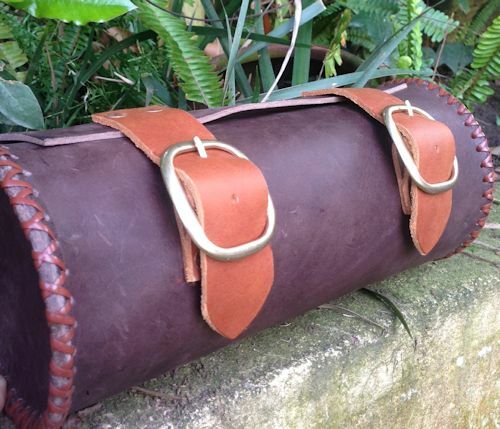 The sides are carved, edged and burnished and the seams are reinforced with industrial thread. The leather is fully treated with weather-resistant conditioner. 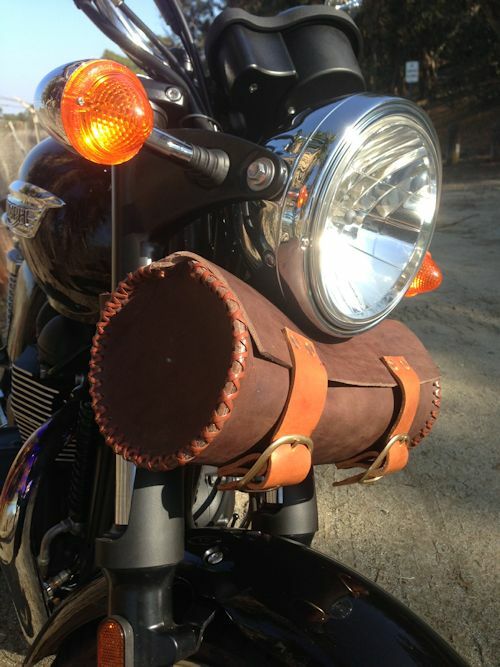 Attaches to the forks with leather straps and steel holster snaps. 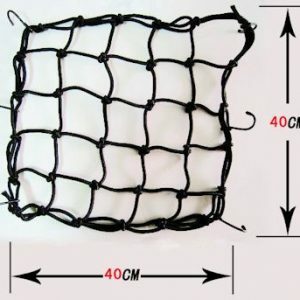 The bag measures 13” wide and has a diameter of 5.5”. Handcrafted by Seth Wegter in Seal Beach, California U.S.A.